As salaamu wa alay kumm. 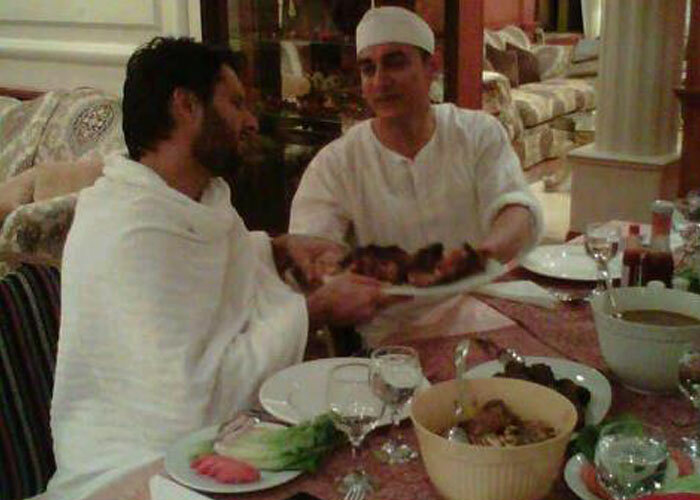 Here’s a pic of Pakistani cricketer Shahid Afridi having food with Aamir Khan. Wa alay kum as salaam. Categories: General, Photos | Tags: 2012, aamir khan, aamir khan maulana tariq jameel hajj 2012 saudi arabia bollywood indian actor amir khan tareeq jamil pakistan, amir khan, bollywood, hajj, maulana, meets tariq jameel, mother, talaash, tareeq jamil, tariq jameel | Permalink. 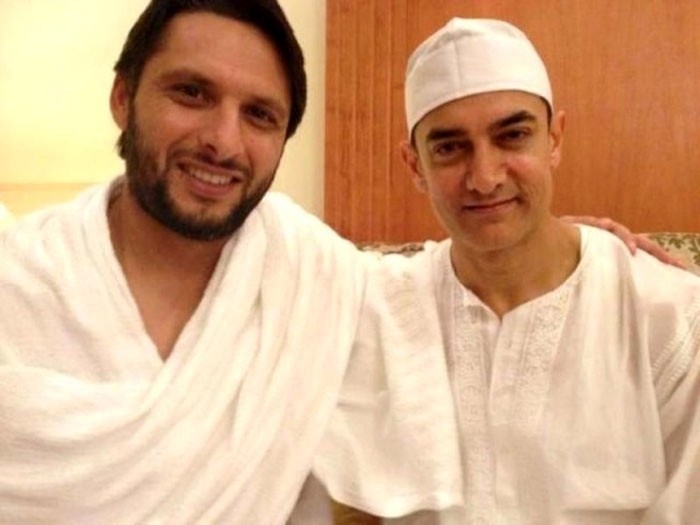 There have been reports in the media that Indian actor, Aamir Khan, grandson of Maulana Abul Kalam Azad, Indian parliamentarian and freedom fighter has met Hazrath Maulana Tariq Jameel, one of the greatest Scholars of Islam from Pakistan, at Saudi Arabia, during Hajj. the.ijtema® team requests every Muslim to pray that Allah subhanahu wa ta’ala grant hidayah to Aamir Khan and his nasl and keep them on it. Summa aameen.